Why Do Our Power Substations Need Protecting? Although it is hard to imagine, terrorist attacks can and do happen on U.S. soil. One such underreported strike occurred in April 2013 against PG & E’s Metcalf transmission station in California. The attack took down 17 transformers that comprise a large bulk of the Silicon Valley power supply, and while officials were able to reroute power across the electric grid in such a way that blackout was avoided, the repairs took workers a full 27 days. Speaking to the Wall Street Journal, then-chairman of the Federal Energy Regulatory Commission Jon Wellinghoff called it “the most significant incident of domestic terrorism involving the grid that has ever occurred.” Part of its significance hails from the proof of transformers’ vulnerability and their importance to the nation’s power supply. In fact, federal experts estimate that an attack on as few as nine critical substations could impact the entire power grid severely enough to result in nationwide blackout. Adding to the problem is the fact that transformers are incredibly expensive and difficult to replace. Were multiple stations to be hit at once, the nationwide blackout could extend for days or weeks, causing other industries that rely on power for security to be vulnerable. Moreover, security grids use the same web-based portals and applications as other industries, opening them up to hackers. When we consider the ease with which the attackers carried out their mission, cutting phone lines before shoving machine gun barrels through a chain link fence and aiming at transformers, it becomes imperative that companies up their physical security in addition to their cyber-security. Clearly our nation cannot afford to leave its most precious energy assets on visible display simply because of poor physical security measures. In response to the California attack and questions such as these, and in an attempt to increase Homeland Security, the Federal Energy Regulatory Commission (FERC) has asked the North American Electric Reliability Corporation (NERC) to develop standards of reliability that owners and operators of the Bulk Power System can use to address the risk posed by physical vulnerability. One obvious solution is walls that will not only block the view of what is happening inside the power station, but also block terrorists from taking aim. Additionally, walls must be bulletproof and capable of blocking a multitude of physical attacks. Enter the Stone Tree Pre-Cast Concrete Boundary Wall. This was the solution chosen for the Metcalf transmission station, which installed over a mile of concrete wall in heights ranging up to 16 feet. Stone Tree Preformed Concrete offers many other advantages too, and is the best way to protect U.S. power grids for the following eight reasons. Because some public utilities are owned by the government, fences that are easily and efficiently installed could save taxpayers money. Column and panel components that are manufactured to fit together and require little in the way of installation reduce time and manpower needed to put them in place, as explained in this video. 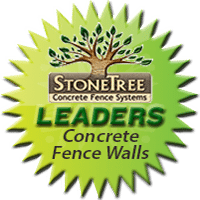 StoneTree® we provide many stylistic choices in our fence construction, from slate block to decorative ledgestone to good old-fashioned brick. Extra security features such as gated access points, cameras, razor wire or electric wire come in handy for extremely sensitive compounds such as power stations. StoneTree® fence walls utilize Combo-Cast panels, which make the installation of multiple security features simple and seamless, with lots of different options on feature placement and style. For more info, check out our website. Lighting set atop your fence can provide both security and beauty, and is easy to install due to the style of our columns, which provide plenty of room to set lights on top of. You can find out more about lighting on our website. Our walls come in a wide variety of heights, with custom heights ranging from 9 to 16 feet available. These heights make blocking visibility and protecting power stations and other high-sensitivity areas from possible terrorists much easier. Of course, a wall is only effective if it can be repaired easily and quickly after something happens. Luckily, our walls are built using removable sections that can be taken out and replaced quickly and efficiently without affecting the construction on either side, so you can conduct repairs and move on without changing your routine or compromising security. StoneTree® walls are low maintenance, coated with a stained sealant that protects the concrete from penetration of moisture from snow, rain, sleet and other weather phenomena. Unlike vinyl and wood fencing, concrete doesn’t succumb to chipping, bleaching or cracking, which could compromise structural integrity as well as appearance. Lastly, our walls are engineered to withstand a variety of situations, natural and otherwise. Not only can our walls hold up under stress from seismic activity, high wind and shifting soil, they are bulletproof. This is crucial since attacks like the one in Silicon Valley relied on guns to complete their destruction. Bulletproof walls like StoneTree’s® can meet UL 752 Level 4 Bullet Resistant Specification, which helps them withstand bullet penetration and prevents the creation of flying projectiles that can injure people. You can read more about that here.